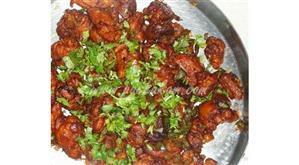 Wash cauliflower well and make small florets of it. Put them in boiling water with salt and turmeric for few mins. Drain fully so no water is left. Mix the following ingredients to make a batter: gram flour, corn flour, rice flour, chilli powder, kesari color and required salt adding little water. The batter should be thinner than the bajji mix. Add cauliflower into the batter, mix evenly and deep fry. Keep the fried florets aside to drain. Heat a little oil in a pan. Add ginger and garlic and fry. Add the fried cauliflower and fry. 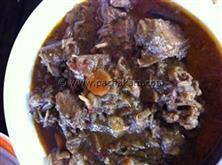 :- Serve hot with tomato and chilli sauce. 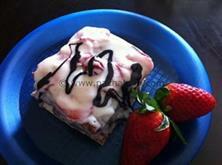 :- Also same can be done with Baby corn or paneer. 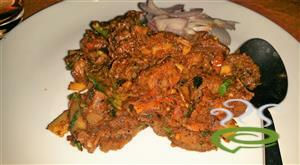 Enjoy the delicious Gobi manchurian Bangalore style.